The Serious Games Institute has partnered with Cisco and Giunti Labs to turn all of Coventry University into a meshed real-world/virtual-world learning environment. 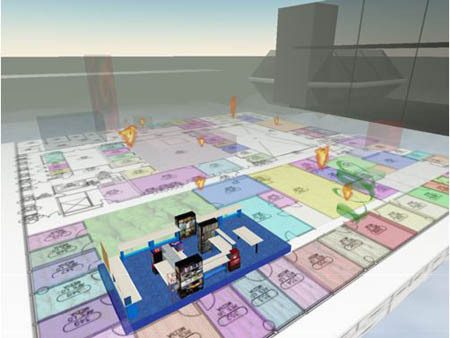 To help the Institute build a platform for modeling the real campus, students at Coventry can activate educational content based on their physical movement across the real campus or the digital movement across the virtual campus. The system is based on Cisco wireless location services and Giunti's learn eXact content management system. Any existing digital content can be applied to either mobile or virtual learning devices based on location. "Blending mobile and virtual worlds technologies has unmatched potential for producing effective technology-based learning," said Giunti Labs' CEO, Fabrizio Cardinali. 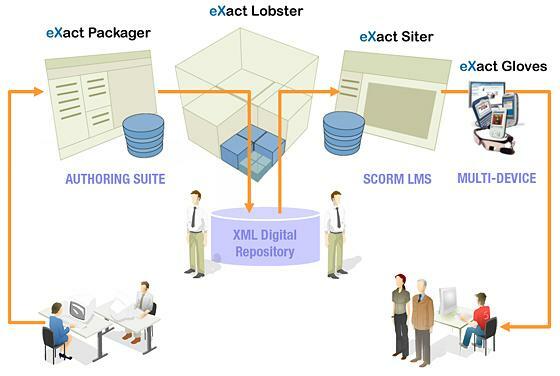 The learn eXact Suite - learn eXact is a powerful Learning Content Management System (LCMS) that allows you to speed up the processes of creating, indexing, storing, revising and managing eLearning and Mobile Learning content. "We set ourselves the goal of transforming Coventry University into a destination of choice for students and academics from around the world," said John Latham, pro vice-chancellor for business development at the university. "Supported by the technology and expertise provided by Cisco and Giunti Labs, our SGI has a number of advanced virtual learning capabilities, such as drag-and-drop positioning of digital learning contents, three-dimensional hotspot positioning, and triggering and tracking of learning content by an avatar. We also have the tools and functionality for the creation, packaging and management of Shareable Content Object Reference Model [SCORM]-compliant contents which can be contextualized and delivered to Windows Mobile 5 personal digital assistants within the SGI Cisco Wi-Fi network. And we can also reuse location based content also in other virtual worlds platforms, such as Forterra and Second Life." The Serious Games Institute is the first of three new Institutes being opened at the Coventry University Technology Park. The SGI, the first of its kind in the UK, aims to support regional development through bringing together subject matter experts, applied research and dedicated showcasing and demonstration facilities to support the development and application of virtual world applications, game-based learning and interactive digital media resources for a range of uses. The Serious Games Institute is a regional development project, founded by Advantage West Midlands, which has grown out of a desire to identify and encourage growth areas for West Midlands industry. With computer games companies already being well established in the Leamington Spa and Solihull areas, many of the skills in evidence in this sector can be transferred to the serious games sector. • Facilities for demonstrating and showcasing serious games and immersive environments. Giunti is unique in the international publishing industry. In 1497, Giunti publishers and typographers in Florence, together with others in Venice, began modern book manufacturing. Over the years Giunti has built a ‘historical catalogue’ of huge dimensions, through a gradual process of ‘fusion’ of different publishers, but also through the creation of new brands, including Giunti Labs. Giunti Editore now includes 20 companies in the publishing sector. Giunti Labs provides the learn eXact® suite, Europe's leading e-learning and mobile learning content management technology. This suite is interoperable with all major vendor-driven and open source LMS and VLE solutions in the market including Plateau, Oracle, SumTotal, Saba, WebCT, Blackboard, Sakai, LRN and Moodle. Moreover, Giunti Labs does not just adhere to the international standards relating to the LMS/LCMS world, it is one of the organisations that helps to determine and drive these standards: co-writing and developing them. Giunti Labs plays a key role in most of the international institutions for the definition of eLearning specifications (IEEE LTSC, ISO/IEC JTC1/SC36, CEN/ISSS WSLT, AICC, IMS, ADL-SCORM and OKI). Giunti Labs’ learn eXact is an e-learning and mobile learning content management system (LCMS) that enables users to create, manage and deliver content based on learning objects, XML, standards and international specifications. It delivers learning content to location-based mobile devices, interactive TV and wearable computer devices. Now the solution with its new eXact VLW plug in also delivers standard learning contents into 3D Virtual Worlds.